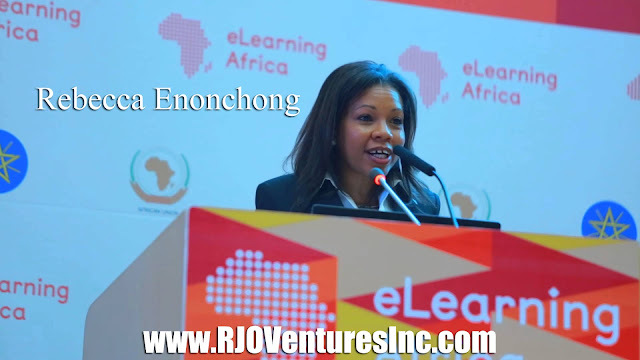 Rebecca Enonchong is the founder and CEO of AppsTech and I/O Spaces. AppsTech is a Bethesda, Maryland-based global provider of enterprise application solutions founded in 1999. It's an Oracle Platinum Partner and has customers in over 40 countries. I/O Spaces is a Co-working space in Silver Spring, Maryland. 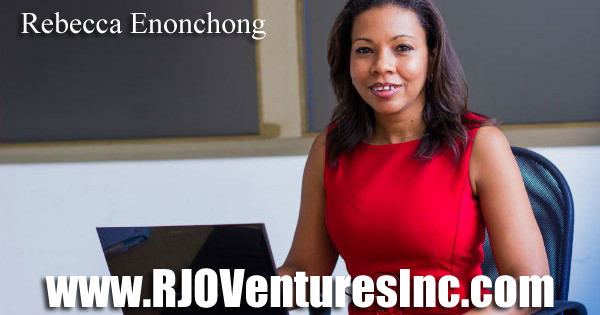 Rebecca Enonchong started AppTech with literally no money and despite her best efforts, she was never able to raise any funding. "I was a Black woman tech founder. 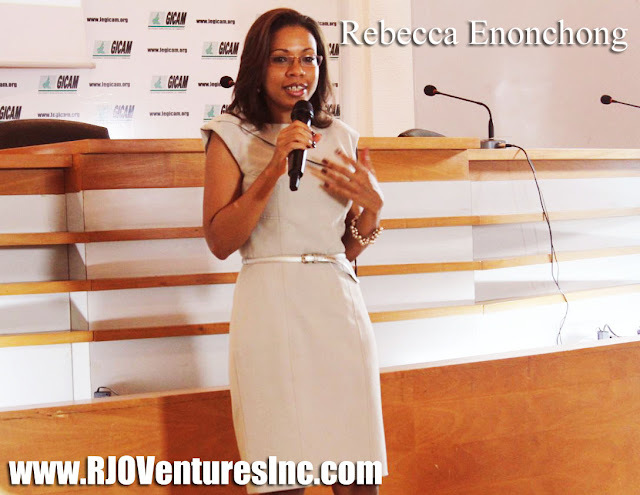 I was a Black African woman tech founder. Although those might have been external factors, my race, gender or national origin were never a part of my equation. I lived in a self-created bubble in which those elements didn’t matter and I went about my business as any white male would have, oblivious to the reality that surrounded me and the challenges before me. It honestly never occurred to me that it might be any harder for me than any of my fellow startup entrepreneurs." Lesson One: Your reality is the one that you create in your mind, not the one that others create for you. Because I was not conscious of how difficult this was, I could be bold. And bold I was. With very little savings and no financial backing, I set out to build a global multi-million dollar business. I spent the first two weeks doing nothing but writing my business plan. Because I was writing it for me, and not for bankers or investors, I could be completely honest. I was able to lay out my weaknesses, market risks in a very bare, truthful way. Then I could think of strategies to counter these. As I did this, my business model changed significantly from what I first intended. Over the years of course, it changed some more. I built the company’s web site and it was available in both English and French. I spent days studying the web sites of companies like Arthur Andersen, PwC and CapGemini and mimicked the look and feel. The site wasn’t very nice but in those days, neither were my competitors’. I couldn’t yet afford an office but I did get a virtual business address I could use on the web site and on a business card. I didn’t include a title on the card. I wanted the flexibility of being the CEO when I wanted or just one of the engineers if the situation warranted. I might have been a one person business but I presented myself as a global corporation. As I mentioned before, even though I was a tiny business, I was global from day one. Every single tool I purchased to run my business had to work from anywhere. In a world where the word “cloud” still defined something you could look up to in the sky, I only bought software accessible over the internet. We were one of Salesforce.com’s early customers. Also, each individual I hired, from my assistant to my technical and executive team, had to have worked or lived overseas and speak at least two languages. So where my like sized competitors were focusing on the small local customer, I had my eyes on the more lucrative global market. And because everything was designed to be global from the very first day, I didn’t have to pivot years later and develop a global strategy, change systems and staff. Global in one location with four employees is actually the same structure as global in ten locations with hundreds of employees. Global is a way of thinking. Of course, I couldn’t have done any of this without a fantastic team. I sought out the very best minds in the industry and sometimes courted them for months before they would come on board. As often as possible, I tried to find the brightest in the African community. Congo, Nigeria, Cote d’Ivoire, Central African Republic, Sudan, Cameroon, and more were all represented at AppsTech. This in addition to China, Korea, India, France and the UK. Most of them were much smarter than I was. Although some were obviously intelligent, they didn’t necessarily have specific industry experience. One of my very best hires for example, was a political science major with absolutely no Oracle and little IT experience. But I loved the way he carried himself. I hired him on the spot. As a Client Relationship Manager, his ability to navigate difficult personalities was key. Another guy had a degree in veterinary science. He too had no Oracle experience. But he spoke five languages fluently including Russian and Spanish. If he could learn foreign languages so easily, surely “speaking” SQL wouldn’t be a stretch. He went on to get multiple Oracle certifications and was one of the very best members of our technical team.